I’m on a real women-in-music kick these days. Last week’s Video Fridays installment was on the late-great Nina Simone, inspired by having watched the wonderful documentary What Happened, Miss Simone?. 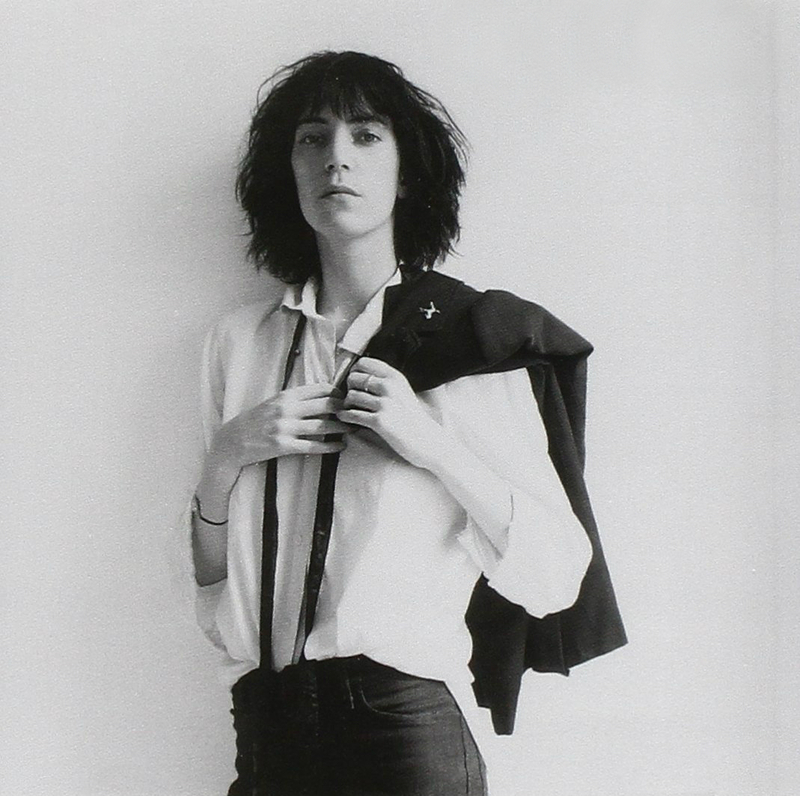 This week, I’m inspired to feature Patti Smith after having read her amazing autobiography Just Kids. If you go into reading the book having only heard of Patti the musician, you will either experience disappointment or revelation; disappointment, because music, while woven throughout the story, is by no means the primary focus; revelation, because Patti the poet, Patti the visual artist, Patti the muse of her longtime companion-then-friend, the groundbreaking artist/photographer Robert Mapplethorpe, comes to vivid life in the reading, along with the explosive New York City art scene of the late 1960s and 1970s. Patti, being a poet and musician, writes her autobiography with such lyricism, such raw emotional presence, and there were many times when I’d re-read lines, and sometimes whole paragraphs, because they were rendered so beautifully, so movingly. She has an incredible eye and ear for small details that add so much depth to the story, peppering her narrative with mention of items collected or exchanged, often cheap trinkets or handmade gestures, brief interactions with legends like Jimi Hendrix or Janis Joplin, things that, out of context, would be seemingly trivial, and yet in the very mentioning and describing of these things you learn how meaningful these smallest of details were to Patti. We were as Hansel and Gretel and we ventured out into the black forest of the world. There were temptations and witches and demons we never dreamed of and there was splendor we only partially imagined. No one could speak for these two young people nor tell with any truth of their days and nights together. It wasn’t easy choosing a video to include with this post, because, as Patti has endured, losing none of her potency as an artist and performer over the years, I could have selected some of her more recent work, such as the amazing 2005 Live at Montreux concert, available, at least for now, in it’s entirety on YouTube, rather than what I have here for you now, a precious document from her 1976 European tour, featuring songs from her classic debut, Horses, as well as cuts that would soon appear on her sophomore album, Radio Ethiopia. Observe her total, unapologetic commitment, as she bravely claims her place in Rock&Roll, despite how male-dominated it has always been. Observe and enjoy and check out Just Kids when you have a chance. You won’t regret it.